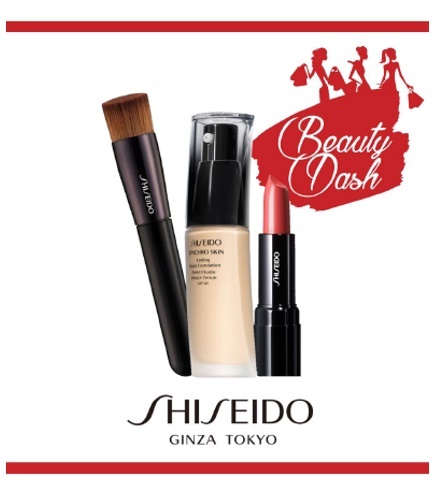 Shiseido Beauty Dash Happening this whole month of December! Are you done shopping? Well, I'm still panicking, I'm starting to shop this weekend for real (because I've been shopping one at a time for the past weekends) now, I need to really RUSH! And thankfully, it was perfect timing for me to shop with all the "deals" to watch out for! Don't you like promotions? Bundles wherein you can save so much more? 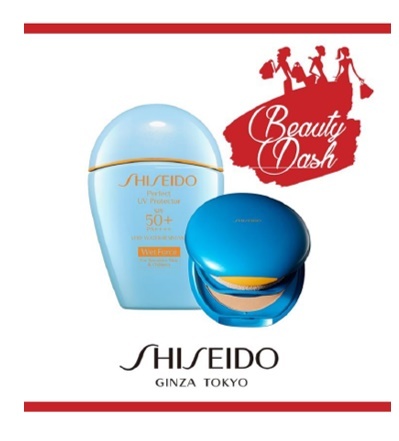 Shiseido "Beauty Dash". 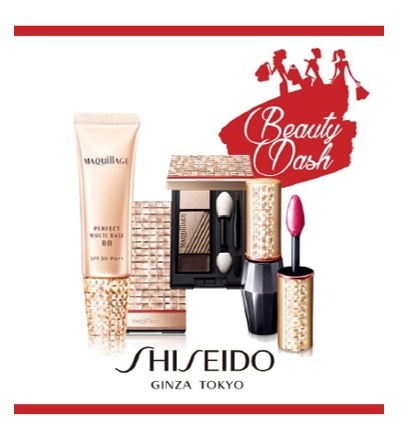 The Best Value Deals exclusive to Shiseido Boutiques nationwide. Shoppers can get ONE Perfect Rouge or Veiled Rouge, ONE Synchro Skin Lasting Foundation and ONE Shiseido Foundation brush. All of these are valued at Php14,998.00! You get ONE Bio-Performance Liftdynamic Serum 30ml, ONE Bio-Performance Liftdynamic Cream 50ml and ONE Ultimune Power Infusing Concentrate for face 30ml. Shoppers will receive ONE Maquillage Essential Gel Rouge, ONE Maquillage Perfect Multibase BB Cream, and ONE Maquillage Dramatic Mood Eyes. ONE Sunblock and ONE Foundation or compact of choice. 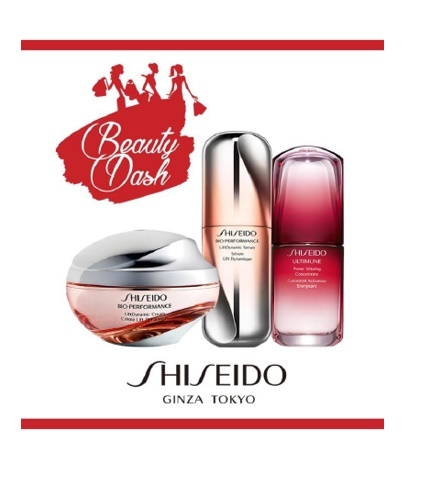 For more information about the Beauty Dash sale, like and visit SHISEIDO PHILIPPINES on Facebook. Which bundle caught your complete attention?